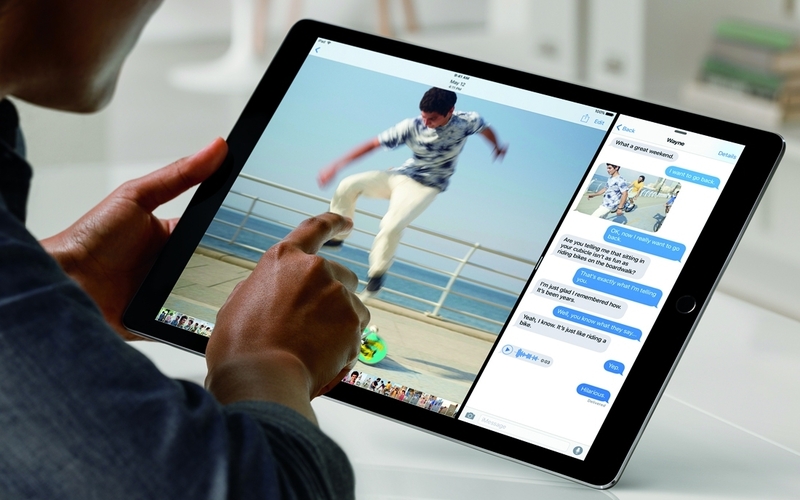 9to5Mac, which cites sources familiar with the development of the new 2018 iPad Pro, has revealed several details about Apple’s tablets, which will come in two size options and have two Wi-Fi models and two LTE models in both sizes. As stated in previous rumors, the new iPads will reportedly boast smaller bezels for an edge-to-edge display and lack a home button. Like the latest iPhones, they will use Face ID, but unlike Apple’s handsets, they won’t have a notch. Moreover, the feature will work in both landscape and portrait modes but not upside down. Perhaps the most interesting new addition is a USB Type-C port, which will allow the iPad to output 4K HDR content to external TVs—whether this will live alongside or replace the Lightning port is unclear. A new panel in the Settings app will let users control the resolution, brightness and HDR options. A new Apple Pencil is also set to arrive alongside the iPad Pros. Like the Airpods and HomePod, it will use proximity-based pairing. Finally, there will be a brand new magnetic connector on the rear of the devices for accessories such as the Smart Keyboard. There’s still no official word from Apple on whether it will hold a hardware event in the next few weeks, but evidence suggests that the company is planning one. Smaller bezels and no home button? That would be a terrible mistake, for a device as big, you need those bezels to hold on to, without clicking anything on the screen. This is the wrong device to remove bezels and/or the home button. P.S. I own the current iPad Pro. onestepforward and Fearghast like this. Have to agree with the bezels... I find myself occasionally "holding the screen" on my current iPad - and it HAS bezels... will be especially annoying on a device with none... I could live without the home button - I have the iPhone X and have actually got quite used to swiping up. But while having only screen on my iPhone is awesome, I believe it would be a mistake to do this with the iPad. I'm using Surface 4 laptop (more like a tablet than a laptop) and iPad pro 12.9 inch and have case for both with handstrap...more useful thank holding on both sides and gives better grip. But that's me and my humble opinion. RIP Lightning; died like Firewire, to a USB bandwidth upgrade. You won't be missed. I’m sold when Mouse/Trackpad capability is finally added. It’s a touchscreen.... why on Earth would you want that?! ?